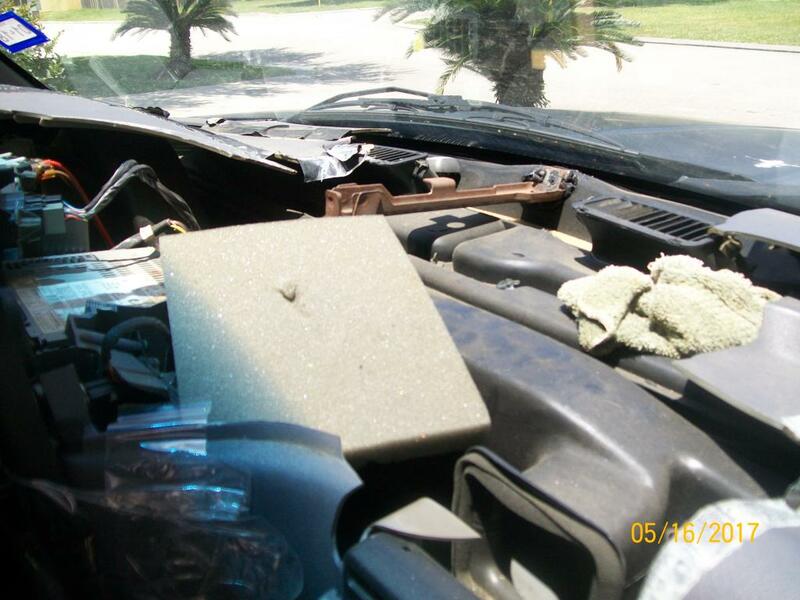 No one has added a helpful site for this 1997 Ram 1500 problem yet. Be the first! Entire dash is falling apart, this is now a safety issue. In all our years we have never seen anything like this issue. The dash is actually disintegrating to dust. Called, no help, out of warranty. We have other cars that are older and no such problem has ever make our dash turn to dust . Update from Aug 18, 2018: total disaster for with plastic flying around, if we had an accident the plastic shards could kill a passenger. It's very sad when your car starts literally falling apart. The dashboard is coming off in large pieces. 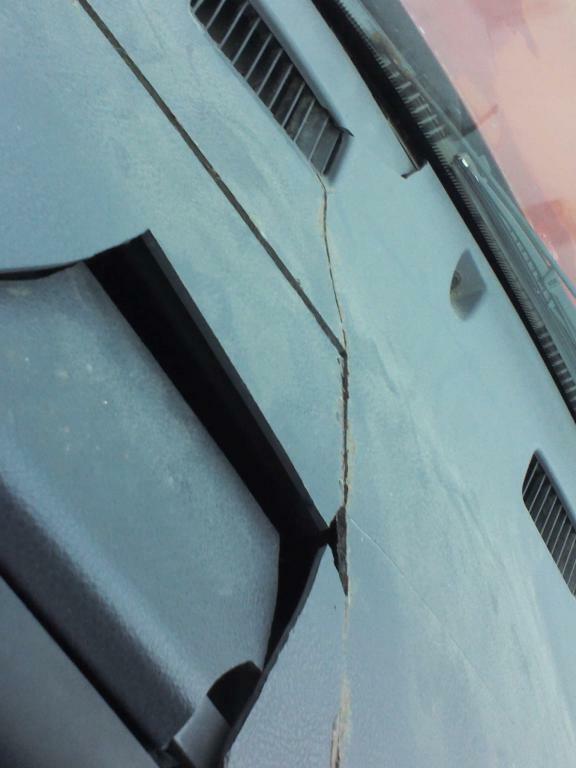 Yes, this is a potential danger, as these sharp pieces start falling when you hit a bump or stop quickly. There should be a fairly cheap way to get this resolved. I'm open to covering part of the cost, but should not have to cover a defective produce 100%. My 1997 Dodge Ram 1500 sport was new and I am the only owner. I took very good care of my truck, kept it clean. But my dash slowly began to crack more and more until now...there is no dash just fragments. this only happens with years 1997 thru 2005. this is known to be a manufacturing problem. trucks are an investment. And if you take care of your investment you should expect it last . for about 2 years the upper dash has been cracking ...very brittle..now there are pieces falling through to the floor and large holes are in the dash last Dodge. 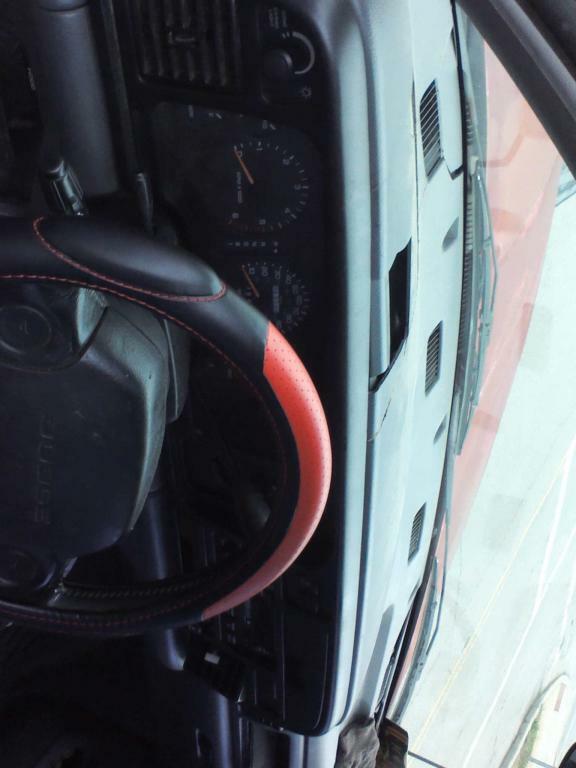 The exterior of the truck is very nice but the dash is an eyesore. The top fell apart and I replaced it but the stress it put on all the lower plastic parts caused them to crack and break now i'm worried the whole thing is going to drop into the floor board. 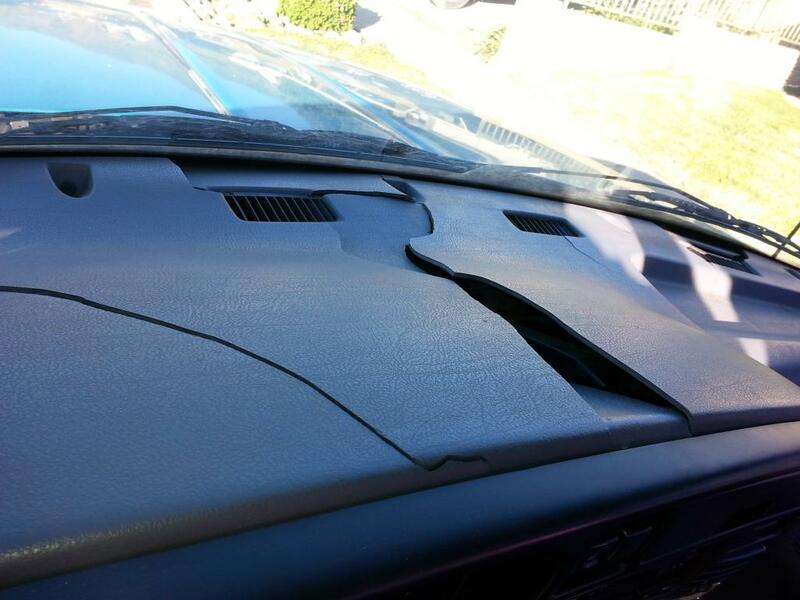 Right now there is no dashboard, I buy a yard of dark fabric to wrap 2 pieces of foam in order to simulate the top of dashboard,whem driving and hit a bump pieces of the dashboard coming apart as a flying object. I cant even use my A/C also the steering wheel cover is fallingl apart. In other words all plastic material inside the cabin is breaking into pieces.... I love my RAM 1500 but if the company dont want to help RAM owners to fixes this problem a problem created by the company with the bad quality of material they pick in order to made the dash... by the way what happen to the QUALITY CONTROLTEAM blame on them.. IT IS A SHAME THAT MY DODGE RUN SO GOOD TO HAVE MY DASH FALLING A PART, EVEN WITH THE COVER EVERYDAY A LITTLE PART FALLS OFF. FOR FUTURE SALES THIS SHOULD BE FIXED. THEY SHOULD LOOK AT THEIIR NUMBERS ON SALES .......A TRUCK IS AN INVESTMENT.....YOUR PAST PRODUCT SALES FUTURE PRODUCTS.......HELLO FORD!!!! I had no idea that so many people had the same problem. The truck was parked in a garage till 2007. 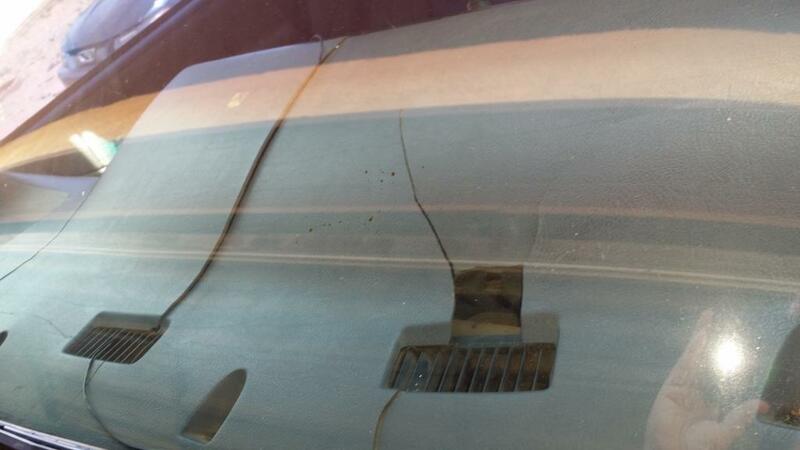 My dash is in so bad shape I believe it should be recalled. My Dodge is in immaculate condition except for the dash. Now you can see I have had a dash cover on it since we bought it but the dash is cracked so bad it's not from weather it's from sh*tty plastic. Dodge needs to recall these dash boards ASAP before someone gets hurt. 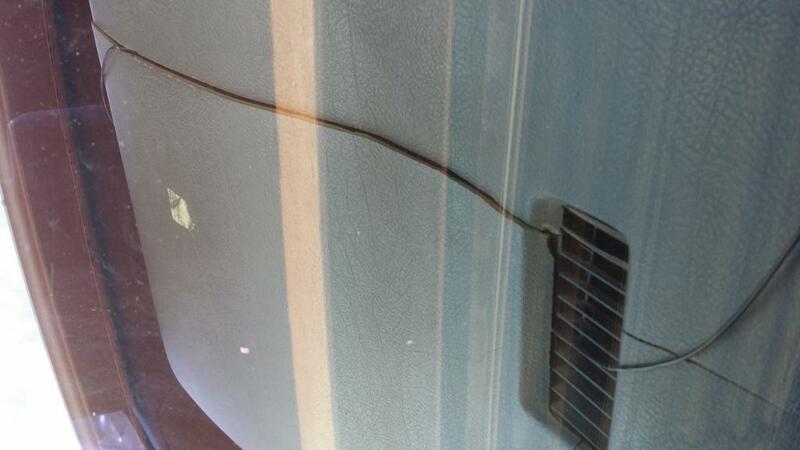 The dash is cracked in several places. I believe its the reason my radio doesn't work now. My plate with the vin on it is falling in the cracked dash in between the windshield. dash cover cracking and rattling. this is growing more of a problem every day. Why should I buy another Dodge? This problem is annoying because every time I park somewhere I have to cover the dashboard. I though it was just me until today. I was searching the internet about another problem that I have with the truck and found other complainants about the dashboard. I have to fix the heater core and I don't want to buy a dashboard because the dashboard would come apart in pieces and have to be replaced. I am mad about my Dodge because there are other issues that are just bad and you think you are the only one. My paint job is bad and I had to replace the Catalytic Converter 7 times. Why? I am a proud Dodge vehicle owner. I own a 97 and 98 Ram 1500. Both of which have busted Dashboards. This has become quite problematic as the hard pieces will fall into the dash & creates a rattle. Also they come off in very jagged pieces & create a hazard to myself & others. I also own a 2002 Intreped as well as a 2004 Ram 1500. As a loyal customer for many years, I would think that Dodge would stand good for this Dash issue even though it's not officially a recall of any kind. I see that not only I have had an issue with the dashboard failing in a major way. 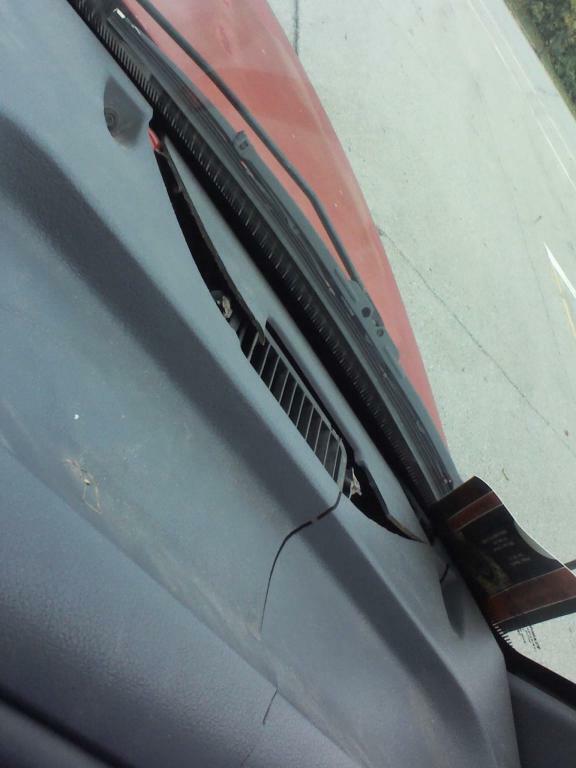 My dashboard was in great shape and the truck is a 4x4 w/ a 6" lift w/ 33's on it. The truck has seen its share of mud trails, OHV trails etc., w/o 1 problem inside or out. Until a month or so ago driving over to see a friend of mine I hit a dip in the street and CRACK! 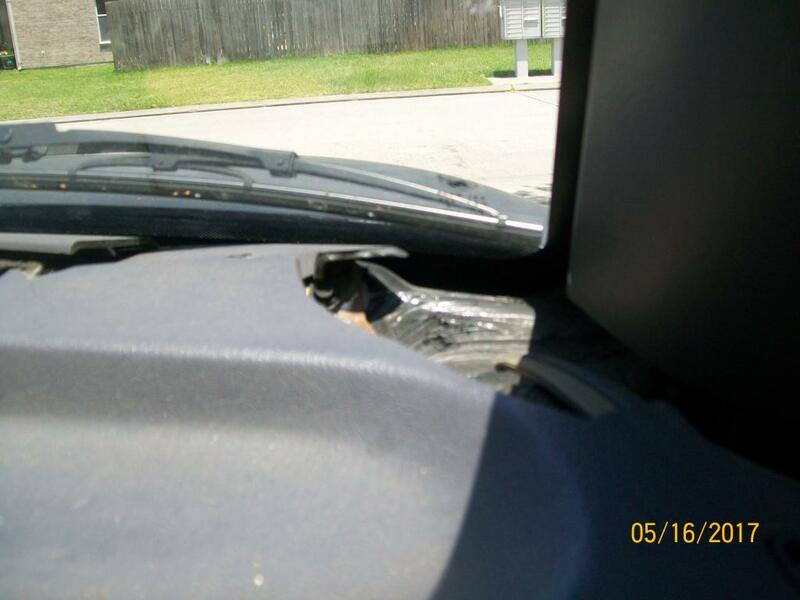 The dashboard shattered into 15 pieces or so and left me stunned. Was questioning WTF is this all about and started checking into what had happened. 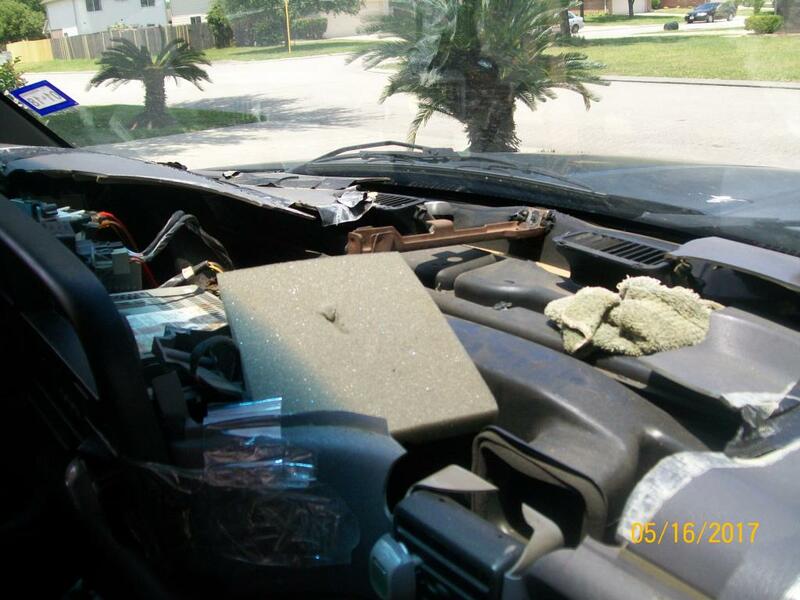 I see that Dodge trucks built from 1994 up to 1999 or so have failures with their dashboards and it being the number one complaint from Dodge truck owners, and even with all the listed complaints which are nurmous, Dodge has turned a deaf ear to a recall for the failures. So I will tell the readers on this site how I plan to handle the deaf ear that I was given when I called Dodge and asked what caused this problem. I was told due to my truck being a 4x4 that in time the dash woud weaken and break apart, "its normal for that to happen to a truck that goes off road." WHAT A LINE OF S*** THAT IS! I have friends that own Chevys and Fords and their truck dashboards havent shaddered into 15 pieces while driving down a street. My plan to handle their deaf ear to my problem is simple: I run a towing company that owns several Dodge trucks w/ flatbeds for towing and had planned to buy 10 more this year. Now the owners and myself are looking at Chevy and Ford chassis and will starting tomorrow list the Dodge trucks for sale. I refuse to invest the amount of money that would be spent buying and maintaining those new trucks when Dodge treats people like myself as trash and cant recall a known failure in my personel truck. How do I know Dodge wont warranty one of the new trucks I was to buy? Towing cars is our business and if I have one truck down that Dodge wont warranty for what ever reason they choose, our company loses money. So I plan to replace the broken dashboard and sell my Dodge for one reason: If a simple failure like a dash replacement recall is something Dodge wont due what else may they decide to not cover? Think about that. i got a 97 ram 1500 and its my first dodge ever i decided to change from gm since they are moving to china and good people are loosing there jobs . i just bought a ram 1500 and its in great shape with only 213000 kms on her well maintained accept a death wobble from a worn out track bar . just so you know don't get oem dodge replacement track bar unless you like wasting money , they don't last just get a moog brand its twice the price but life time warranty and way stronger . 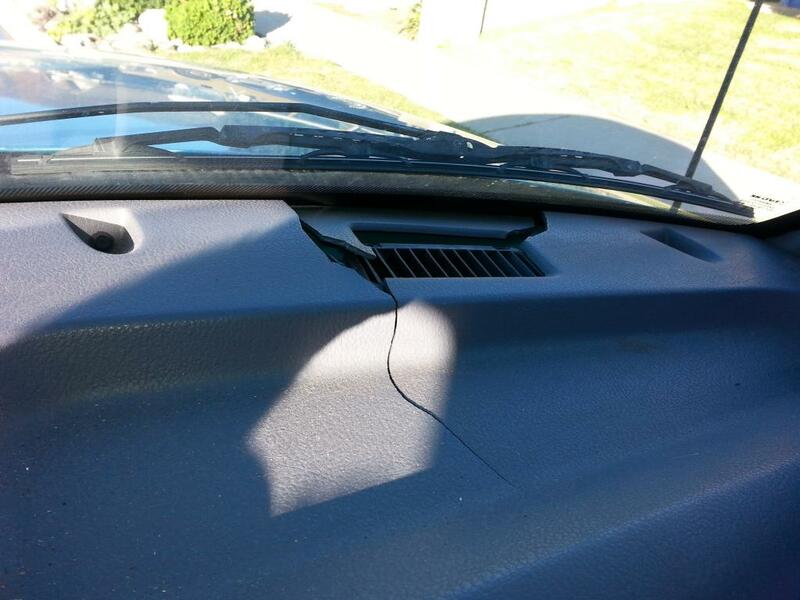 my truck also has the dash crack problem and seems many people have this problem . i think if dodge isn't going to help the original owners with this we should get together and find out where the owner of dodge lives and mail him all the broken dashes and when he see's the pile at his door step maybe he will realize how big the problem is . i never had a chevy dash ever break and i beat the snot out of them from spills to punches and i even crashed one at 110kms into concrete wall just recently and dash is still mint , truck is a rite off thou . lol i walked away with no injuries thank the lord . i hope i didn't make a mistake buying my dodge i do love this truck it feels real solid and i always loved the look , but the more i research the more nervous i get , its not good to know that a company wont back there product and word of mouth is more important the stupid ads .. I WOULD SAY DODGE SHOULD RECALL THIS PROBLEM AS THERE HAS BEEN ALOT OF THESE DASHES THAT ARE BUSTED ,I MYSELF HAVE A 1994 RAM 1500 AND A 1997 RAM 1500 AND THEY ARE BOTH CRACKED. THE 97 WAS CRACKED SO BAD THE VEHICLE IDENTIFICATION TAG (VIN) IS MISSING. AS FEDERAL LAW STATES AS WELL AS STATE LAW THAT ITS ILLEGAL TO TAMPER WITH SO TO ME THIS WOULD BE TAMPERING WITH BY DODGE ITSELF. BECAUSE THEY HAVE GOT IT RIVETTED ON A JUNK DASH SO THE FEDERAL SHOULD GET INVOLVED AND MAKE THEM RECALL THEM JUNK DASHES. 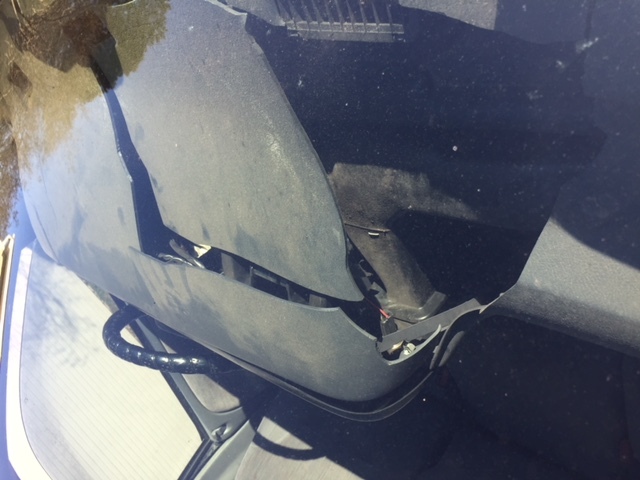 the enire dash panel has cracked and fell apart. the bezel around the gauges is cracked also. 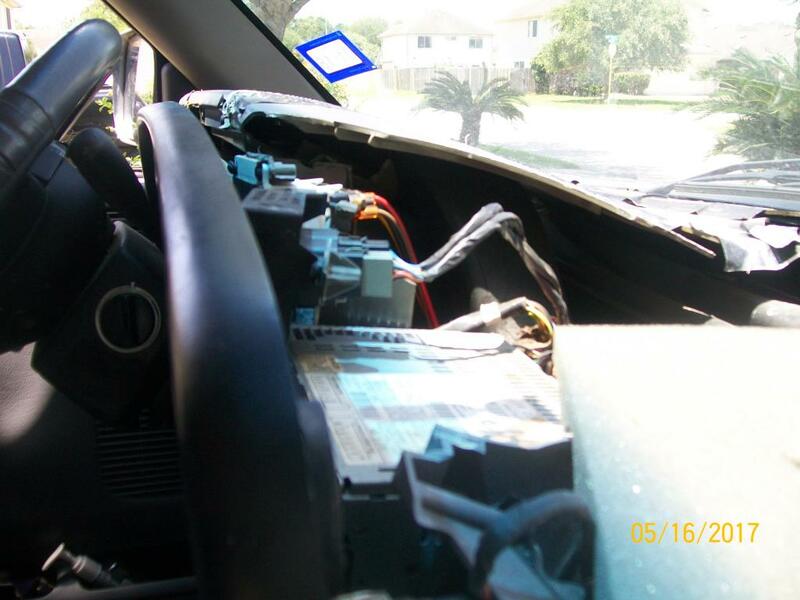 the entire top part of the dash is gone, exposing the wires and interior of the dash panel. it is embarrassing and awful to look at. i can not use the dash or the cup holder because of the problem.